Ann Podracky – Oh, Bernice! Ann Podracky’s work is upcoming in the Wising Up Press anthology Siblings: Our First Macrocosm and in Montauk Anthology. Her work has appeared in different journals including Newtown Literary, Hanging Loose, WSQ Journal, Poetry in Performance.She was an editor for the Ozone Park Journal and a Writer-In-Residence at the Louis Armstrong House. She lives in Queens, N.Y. and is working on a collection of her work. 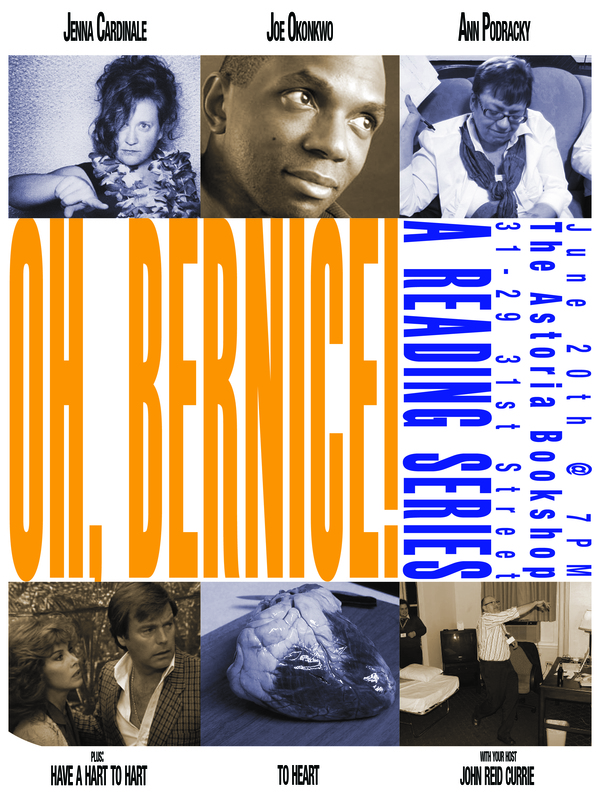 This entry was posted in Upcoming Events and tagged #IloveQueens, Bowery Poetry Club, Ear Inn, hanging loose, KGB, Louis Armstrong, Louis Armstrong Archives, ozone park, Poetry and Performance, Queens, queens college mfa, queens public library, the Rockaways, WSQ. Bookmark the permalink.